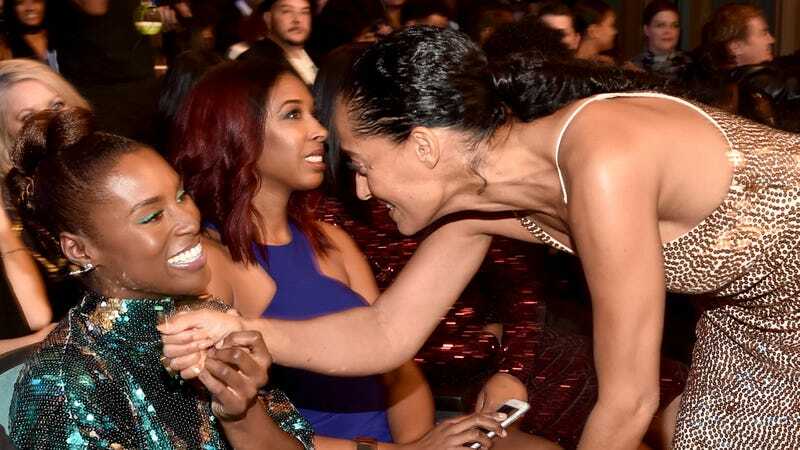 Ahead of the 2018 Emmys, Tracee Ellis Ross and Issa Rae Bring Us #BlackGirlMagic—on a Boat! Issa Rae (L) and Tracee Ellis Ross attend the 49th NAACP Image Awards on January 15, 2018 in Pasadena, California. Is boat envy a thing? Because we don’t know where they boarded or where they were going, but after seeing two of our baes partying on a boat, we want to go to there—preferably, before it gets too cold to enjoy it. As for tonight, we’ll have our eyes on the red carpet, as usual. And as Rae aptly quipped at last year’s ceremony, as always, we’ll be rooting for everybody black. The Glow Up tip: You can catch Ross, Rae and the rest of tonight’s primetime nominees on Monday night at 8 p.m. EDT on NBC—or meet us here Tuesday morning for a red carpet recap!